I first met Mo in New York for my Manhattan Island circumnavigation. When Mo became aware of my swim and knew Roger and Lindsay were crewing for me, he so very kindly offered us his house in Brooklyn to stay in. Mo lived up to his larger than life reputation and I liked him immediately!! 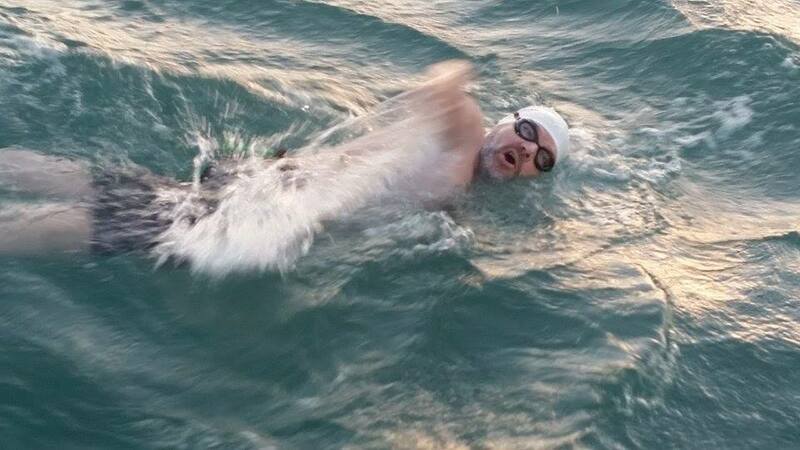 Mo was on his last training preparations before heading to Dover for a planned two way English Channel solo swim. I wasn’t sure if I would be available to crew for Mo and return his kindness to me – however, I promised if I was, I would be there for him. Mo turned 65 in 2016 and this was how he chose to mark the occasion!! As luck would have it, Paula’s swim happened early in her swim window. This meant I was absolutely available to crew for Mo. Mo travelled over from New York with his good friend Eri Utsunumiya. 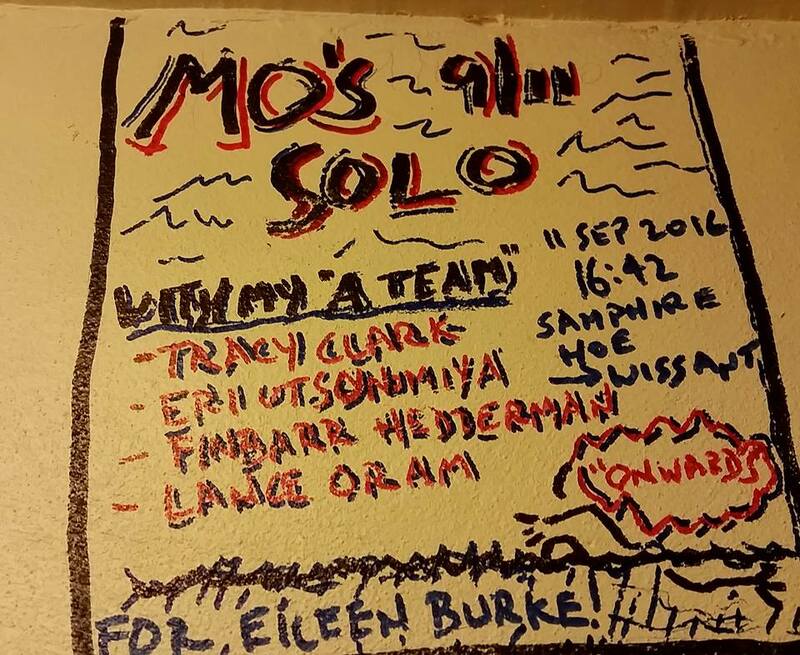 Eri kayaks for Mo on most of his training swims and adventures. She knows him very well. It’s always imperative to have someone close to you like this on such a challenge. 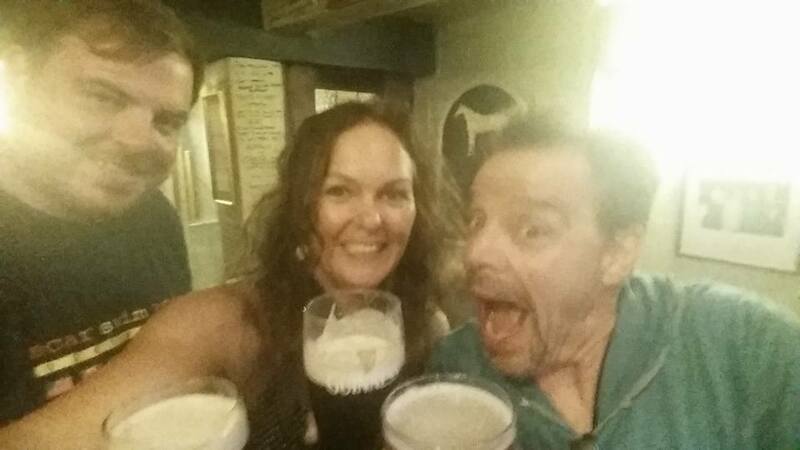 The other crew member was Finbarr Hedderman. I was very pleased to hear this. I met Finbarr on the first training camp I did in Ireland. Finbarr is like a big, gentle, giant and a very experienced Channel swimmer. 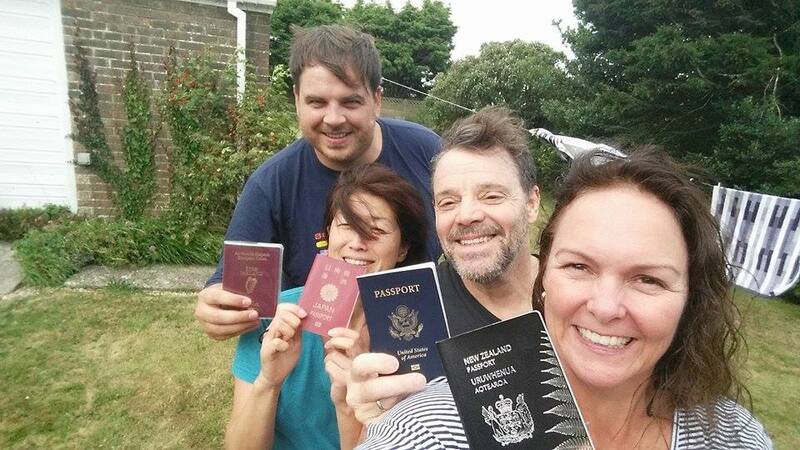 Mo affectionately called us, his crew ‘Misfits and Outcasts’. A great description I would say! To say Mo has a complicated feeding regime is an understatement (sorry Mo)!! Finbarr and I were very happy for Eri to take charge of this and Finbarr and I would oversee delivering his feeds and being his support swimmers. Mo was no novice to this swim. He already swam the English Channel solo on the 3rd of August 2010 in a great time of 14 hours 18 minutes also with Captain Lance Oram. 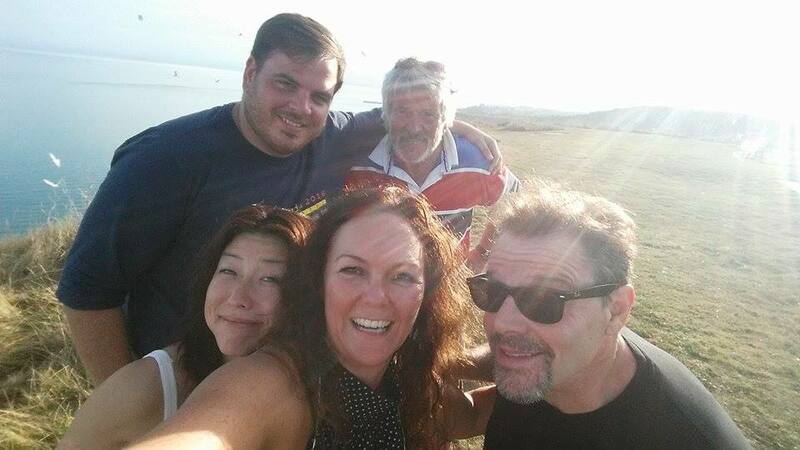 We got the go ahead from Lance for Mo’s swim just three days after everyone had gathered in Dover. I was already there having just finished Paula’s swim! We arrived at Dover Harbour just before the sun was coming up and started loading the boat. As soon as we were underway, we started prepping Mo and his feeds. I was so touched when Mo brought out the cap he was going to wear for his swim. Roger and I had caps printed for our first ever camp at Varne Ridge. 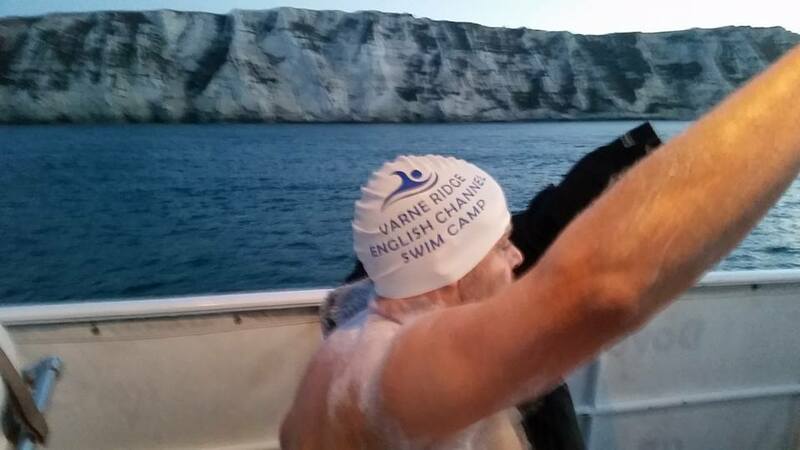 We gave Mo one in New York and this is what he was wearing “Varne Ridge English Channel Swim Camp”. Very special indeed! Mo started his swim just as the sun was coming up. The Channel started out a bit choppy in the first hours but settled down really nicely. Eri made Mo’s concoction of feeds and Finbarr and I delivered them without incident! I have to say, it was evident Mo had practiced his nutrition and feeding regime. It really worked for him. He was so happy and swimming so relaxed. I swam with him after three hours for an hour. The sea was rolling but warm at 18 degrees and getting warmer the closer we got to France. 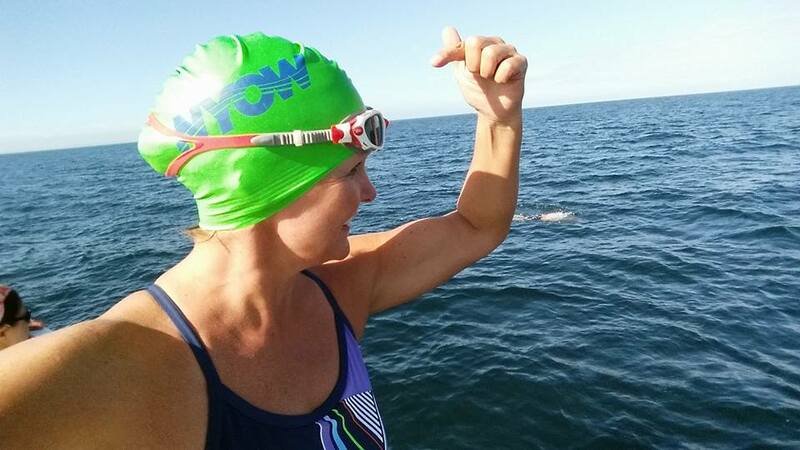 About 5 hours into Mo’s swim, Mo announced to us “you know this is going to be a one way”. I just said to him. Don’t worry about that…just swim! Finbarr got in and swam with Mo for an hour during the separation zone. 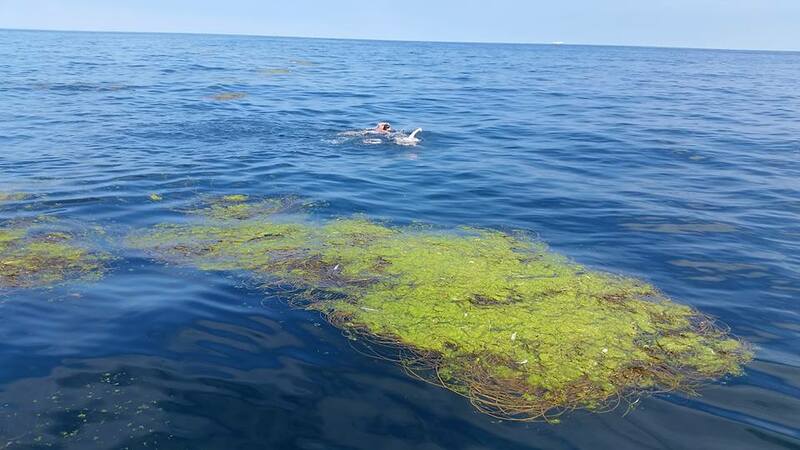 There was a lot of flotsam (debris) and seaweed gathered – none of which got in the way. We did have to keep an eye out though. We got a stunning sunset and prepared ourselves for night fall. Warmer clothes and light sticks. As we got closer to France, I prepared a dry bag to swim essential items in with Mo, in case he was going to turn around and swim back to England. We announced Mo’s last feed and I got in. There was a small swell which created some good waves going in to France. Captain Lance and crew stayed back and let us swim in. It was great fun with the waves. We were laughing like a couple of kids. I always get emotional when I know my swimmer/friend is about to make it to France. When you know the training and sacrifice involved, this privilege only comes to the best prepared swimmers. We finally felt sand under our feet and made our way out of the waves onto a lovely sandy beach at Wissant. Mo immediately said “you know that’s it, this is a one way”. I said “do you want me to be your crew member right now or your friend? Do you want me to say, ‘no way, get back in and swim back to England'”. His response was “no _ _ _ _ way”!! I said “are you sure Mo” he replied again “no _ _ _ _ way”! So I simply said “hug me then, let’s make it official”. So he did! Once he made contact with me, that’s it – the swim is over!!! We got back into the waves and laughed again as we navigated our way out of them and back to Sea Satin and our crew waiting to congratulate Mo. Mo, you swam so happy and strong, I’m pleased you decided to have a wonderful one way and not push yourself for a two way. See you for your next swim in the EC with pleasure!!! Days before, Mo had shared with me how important the date 9/11 (11 September) was to him. Mo was in New York when 9/11 happened. I truly believe in everything for a reason. Had you swam a two way Mo – you would have completed your swim on the 12th of September.! Mo also shared with me his desire to swim the English Channel started when he was 5 years old. His mother was named Gertrude after Gertrude Ederle, the first woman to swim the English Channel. 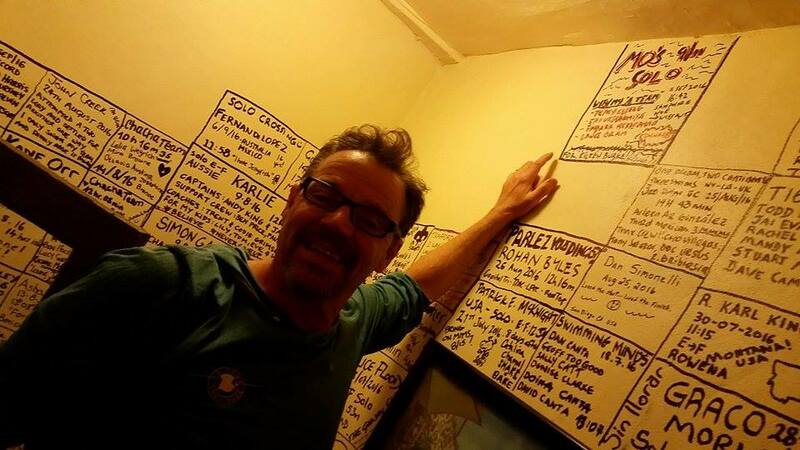 Every Channel swimmer has a story! Just a follow up note to thank everyone for your efforts on my behalf! 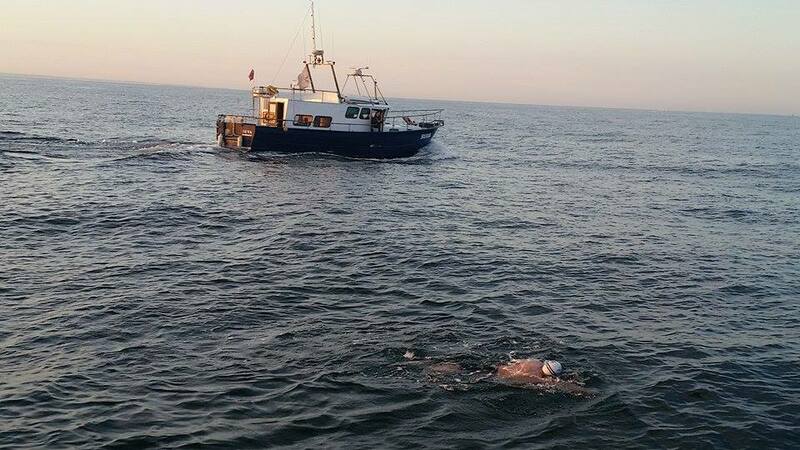 I had a fantastic swim – really, my best ever in terms of being relaxed, enjoying the water, the weather, the support. Early on I decided that a great one way was a lot smarter than a miserable, and possibly unsuccessful, two – way.